In one of the stranger crowdfunding efforts we've seen in recent times, Adblock, known for their ad removal extensions for web browsers, are campaigning to fund ads of their own. 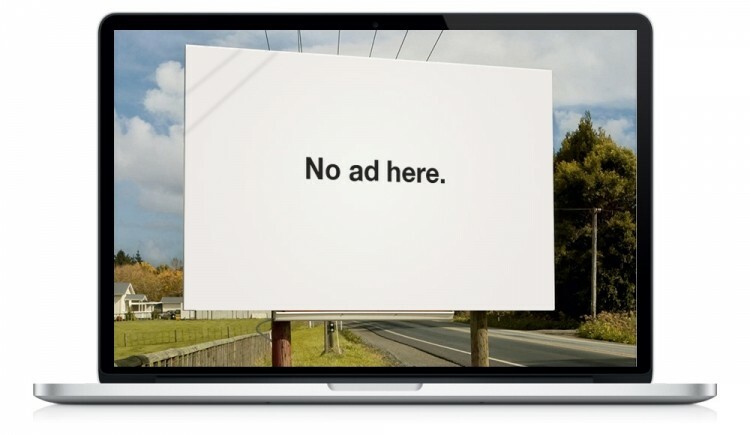 Simply put, they're "going to use ads to get rid of ads", using any money they raise to produce banner ads, video commercials and even billboards promoting their software. According to AdBlock founder Michael Gundlach, the campaign will "help make the internet a better place", as of course, "everyone deserves a better Web". The campaign wants to get the word out to the remaining 7 out of 10 internet users that still see ads, so they can be empowered to "choose an online world without advertising". People who donate to the cause can receive a bunch of rewards including stickers, T-shirts, hoodies, a chat with Gundlach, and even choosing an AdBlock April Fools Day joke. With 27 days left, AdBlock have already reached their first goal of $25,000, and are now hoping that they can fund a Times Square Billboard with $50,000, or even a full page spread in the New York Times with $150,000. The concept of promoting ad blocking through ads themselves is riddled with irony, but it might have the intended effect. That said, most websites, including TechSpot, rely on advertising to produce the content that you read and enjoy every day. If more people turn to blocking ads, we could end up with a very different internet.